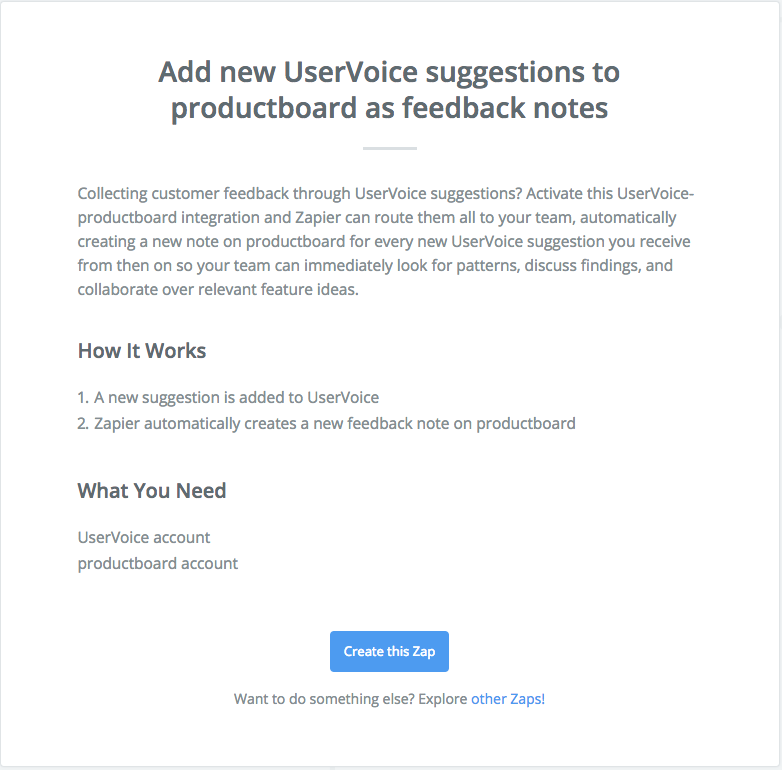 Still collecting product feedback in UserVoice but need to bring that information into productboard? User Impact Score, Prioritization Score and Matrix! Create your single source of truth in productboard and make sure no feedback gets lost by zapping your UserVoice feedback into productboard as a new note. Add tags, to help you keep track on what's coming in! Give it a shot and checkout our other Zapier integrations here. Leaving UserVoice altogether and need to get that data in?